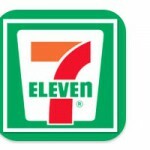 7-Eleven Stores provide the best outlet where the customers can munch on some healthy foods and beverages. These are a part of the international chain providing fruitful and effective service of convenience stores. With over forty eight thousand of outlets, the chain of 7-Eleven Stores has been able to surpass the number of retail outlet of McDonald’s Corporation. They have its branches in over sixteen countries and their largest market includes the nations of the United States, Japan, Canada, Hong Kong, Philippines and Taiwan. They provide fresh foods and is the ultimate stop where the consumers can bet to find the healthy crudités, parfaits, yogurt and even lean turkey with wheat bread. There are currently 0 consumer reviews about 7-Eleven Stores available. Share your review. Please take a note that you are about to post a public review about 7-Eleven Stores corporate office on CorporateOffice.com. This review will be public, so please do not post any of your personal information on this website. If you would like to contact the corporate offices of 7-Eleven Stores, please use their contact information such as their phone number, website, and address listed above to contact them. However, sometimes staff from 7-Eleven Stores headquarters do read the reviews on this website.